Internet Defamation Can Destroy Your Business or Your Individual Reputation. Call now for a free telephone consultation: (714) 954-0700. You must act quickly to stop Internet defamation and restore your reputation, or the opportunity may be lost forever. Rarely should Internet libel be ignored. For a business, it can seriously impact the bottom line, even to the point of putting the company out of business. For an individual, it can hinder or prevent finding employment and interfere with personal relationships. Silence in the face of defamation is often viewed as acknowledgment of its truth. Attacking Internet defamation can involve several strategies, and all of those strategies are handicapped by delay. For example, if the person defaming you or your company is anonymous, the ability to learn that person’s identity could disappear within weeks if the website operator fails to preserve IP address information. Further, every single day that the false information remains online, more people see it and possibly form an opinion about you or your company. Then, even if the defamatory statements are removed, the damage remains. Can’t I just sue the website operator? If you have researched Internet defamation at all, then you probably have come across the Communications Decency Act (CDA). The CDA is a federal law that protects a website operator from any claim of defamation for information posted on an interactive site by a third party. In other words, if a website offers the ability to leave a comment, the operator of that website cannot be held liable for comments posted there by someone else. No exceptions. The CDA was actually a very good idea, but its application has created some huge problems. Imagine a site like Amazon.com, which permits everyone who visits to post comments about products and books they have purchased. Now imagine that there was no CDA, and Amazon could be held liable for any comment that was posted that wasn’t true. Amazon could hire thousands of employees to check every review for accuracy before it was posted, but even that would not solve the problem. If someone purchased a toaster and posted a review stating that no one should buy the toaster because it is a fire hazard, how would Amazon check the accuracy of that statement? Should it be required to hire an electrical expert to test the claim? The result of no CDA would be swift and predictable. All websites would no longer be able to permit comments, because the risk of constant lawsuits and liability would make comments too risky. The online reviews and comments we have all become so fond of on sites like Yelp, Amazon, Better Business Bureau, Yahoo and Google would all be gone. That said, the problem with the CDA is that unscrupulous website operators can hide behind it, so they encourage negative and even false reviews. The truly evil operators even use it as a means to extort money from individuals and businesses. Most have not gone so far as to advertise that they will take down a defamatory posting for a price, but some claim that they will for a fee act as a mediator between you and the person who defamed you, to see if the matter can be resolved. Obviously, the more defamatory comments they can encourage to be posted, the more they can make off of these “mediation fees”. This loophole in the CDA could be easily closed. Organizations such as the California Defamation Lawyers Association are lobbying for a simple change to the CDA, which would require a website to remove any comment after a court has determined it to be false and defamatory. In this way, all websites will still be free to operate without fear of liability, with the only burden being that if someone goes all the way to trial and convinces a court that a statement is defamatory, the comment must be removed. But until that day, any relief must come through the person who posted the comments. Even though the website can’t be sued, it CAN be ordered to take down a defamatory post. Thanks to a recent opinion by the California Court of Appeal, even though the CDA prevents a website from being sued directly for what others post on the site, it is now the law that a website can be ordered to remove a post, as part of an order that compels the defendant to take down the post. In the case of Hassell v. Bird, the defendant posted a false and defamatory review on Yelp.com. The victim successfully sued for defamation, and the court ordered the defendant and Yelp to remove the defamatory review. Yelp fought the order (begging the question why Yelp would fight to keep a false review), arguing that it had not been a party to the action, but the Court of Appeal ruled that even a third party can be included in a take-down order. So, if you need a false review taken down, that is now an option, even if the defendant will not cooperate. Even comments that can’t be removed, can be hidden. Out-of-state websites such as RipOffReport.com can still be a challenge. In order to maximize their extortion fees, many websites do not permit even the person who posted the comments to remove them. Even if a court determines that the statements made on a website are defamatory, the website has no duty to remove them. This situation is complicated even further by the fact that many websites are located in other countries, so any order by a court here is ineffectual there. But that does not leave you without a remedy. If a court determines that something published about you or your company is defamatory, then Google, Yahoo and Bing will often honor that court order, and “de-index” the content. So, the information still exists on the website, but a search on will no longer reveal it. This result does not always require that you go all the way to trial to obtain the necessary order. Any settlement or agreement with the defamer can provide for a stipulated judgment, determining that the comments in question are defamatory. Thus, you can obtain the necessary judgment, and have the comments de-indexed by the major search engines, without ever going to trial. You must go after the person who posted the comments. Because of the CDA, you can’t go after the site where the defamatory comments are posted, you must go after the person who posted them (although obviously they are sometimes one in the same). Sometimes a simple cease and desist letter is enough make the person who posted the comments do the right thing, and in other instances it will be necessary to pursue legal action. If your business did a bad job and someone posted a truthful comment about it, we will not take your case. We encourage and support the marketplace of ideas, and adhere to the principle that no attorney should ever use a defamation action as leverage to remove legitimate comments. However, if false statements have been posted about you or your business, then we will aggressively pursue that person in order to restore your reputation and minimize the damages being done, whether that requires a simple cease and desist letter or escalation to legal action. We are one of the few law firms (indeed the only one of which we are aware) which routinely obtains not only judgments for past defamation, but injunctive relief which prevents defamation in the future. We all support free speech, but false statements on the Internet do nothing to promote the “marketplace of ideas” envisioned by the drafters of the Constitution. To the contrary, as more and more false information is posted on the Internet, the attitude becomes that all information found there must be viewed with distrust, so it becomes more difficult to disseminate true and helpful information. 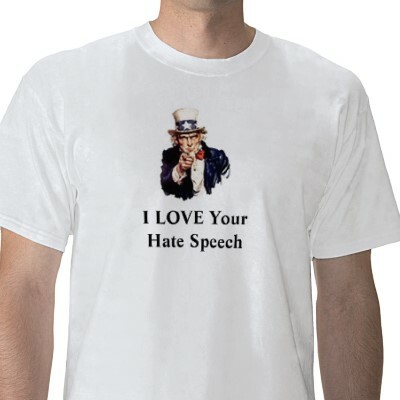 It is for this reason that all should promote free speech while at the same time discouraging false, defamatory speech. Don’t delay. Restore your reputation. Call for a free telephone consultation. Every situation is unique, and requires an appropriate and rapid response. Call today at (714) 954-0700 for a free telephone consultation to discuss your situation. We offer effective and economical solutions to your Internet defamation problems.